The one place where a family definitely comes together is the dining room. It is like a common spot, or we can say, a scheduled area where family and friends can enjoy food and conversations together. No dining room is complete without furniture, which happens to be the most quintessential part, defining a room’s characteristics. So, you need to make sure that your dining room is equipped with everything that defines its function and appearance. Look around, does your dining room need your attention? Or are you looking for a way to upgrade its décor? If yes, then keep on reading to make your dining room a proud point of your interiors. Here are five inspiring dining room essentials which are all you need to make your dining room shine. Namesake of the dining room, a dining table is, of course, the defining point. Without this, there can never be any form dining. 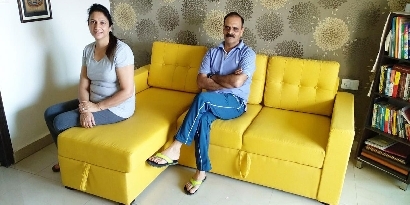 Hence, there are certain things which should be taken into consideration while buying a dining table. 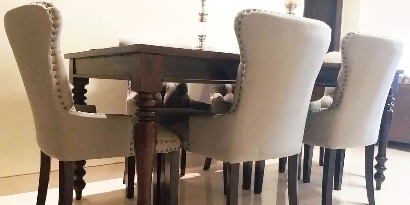 If you have a compact dining room, then a round dining set like a Clark Round 4 seater dining set or an Ashford 4 seater will not only amp-up the aesthetics of your décor but will also give the illusion of a large room. And if you have a big dining room then try a dining set with bench. Dining benches are a great option for a big dining room. 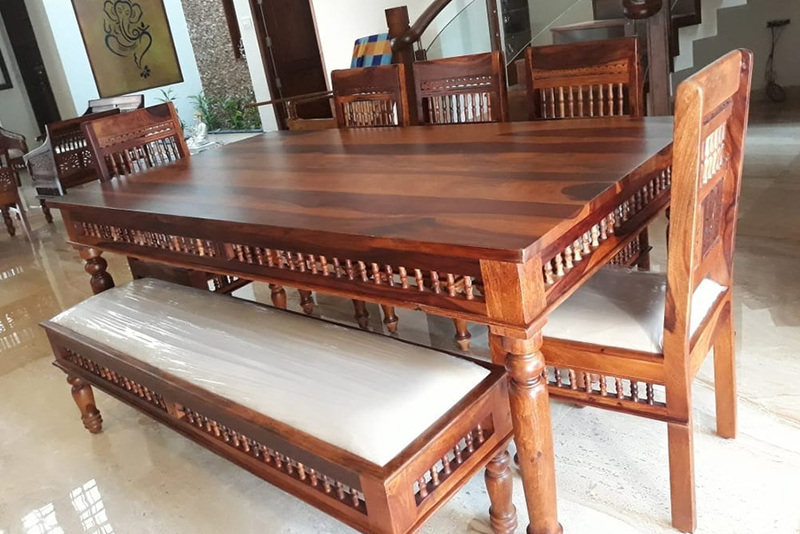 Adolph 6 seater dining set with bench is the best option to try your hands on as it will give your dining table a modern touch. This is that one piece of furniture in which you can showcase and store all your special occasion crockery collection. They can be displayed creatively behind the glass doors or in open shelves, however you’d like it. These units come with a variety of storage options such as shelves, drawers and cabinets. 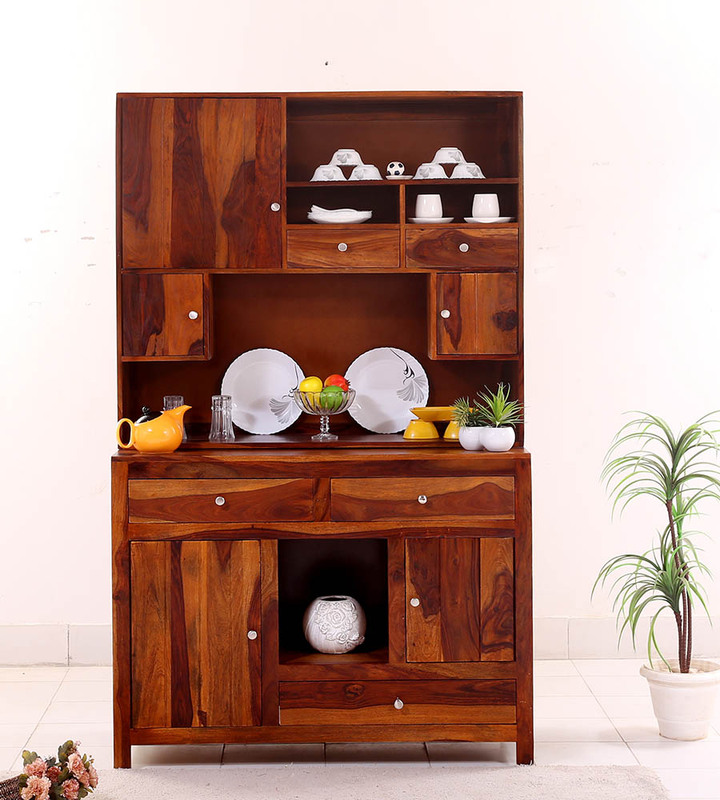 Woodenstreet offers you the best crockery units, crafted in solid wood and available in four different finishes. Units like the Crestor Kitchen Cabinet not only add a vibe of prosperity but also bring multifunctionality for a flexible usage. Calling friends for the upcoming weekend house party? Then having a bar cabinet can prove to be a very practical thing to entertain a large group of friends. 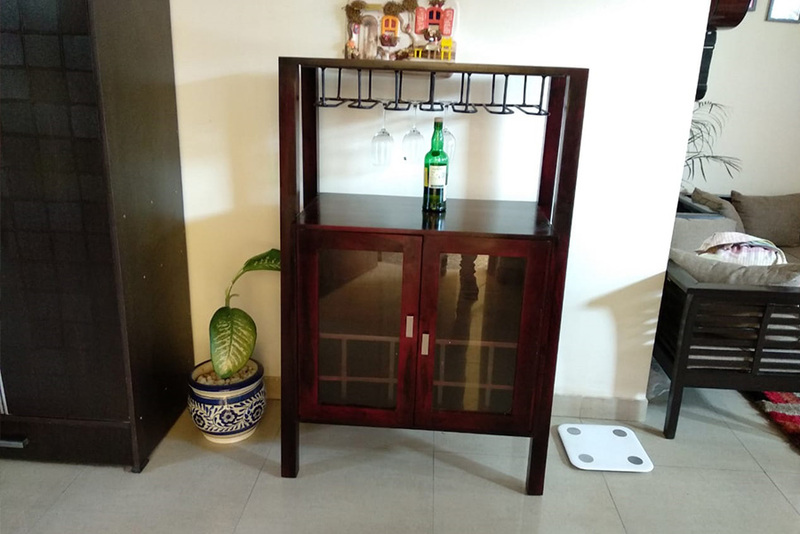 Woodenstreet offers you with various types of bar furniture like bar cabinets, bar trolleys, wine racks and bar stools. Happy Weekend! In a dining room, a sideboard will always be your friend. It can fulfil more than one role, that of a storage superstar and the other of being a decoration platform. The primary task of the sideboard is storing all napkins, extra cutlery, linen, flatware, etc., and you can also give a decorative touch to your dining room by placing vases, framed artwork and the lines on its smooth table-top surface. It is not necessary that a dining room has to be modest and elegant. 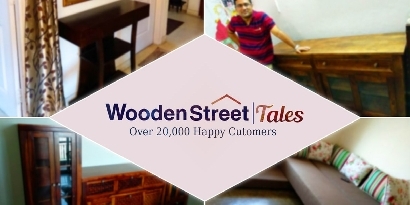 With Woodenstreet, you can bring a quirky touch to your dining area. 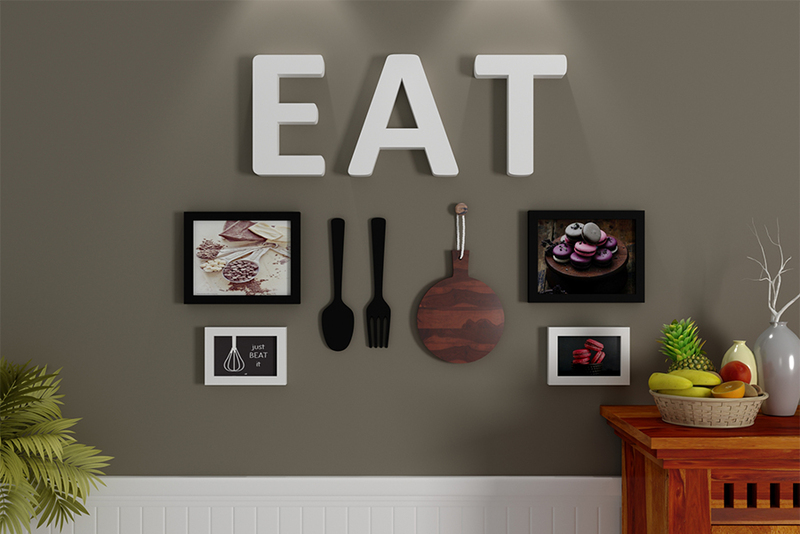 Our Eatery Photo Collage and Cutlery Eat Wall Décor will bring the oomph and fun factor to your room. 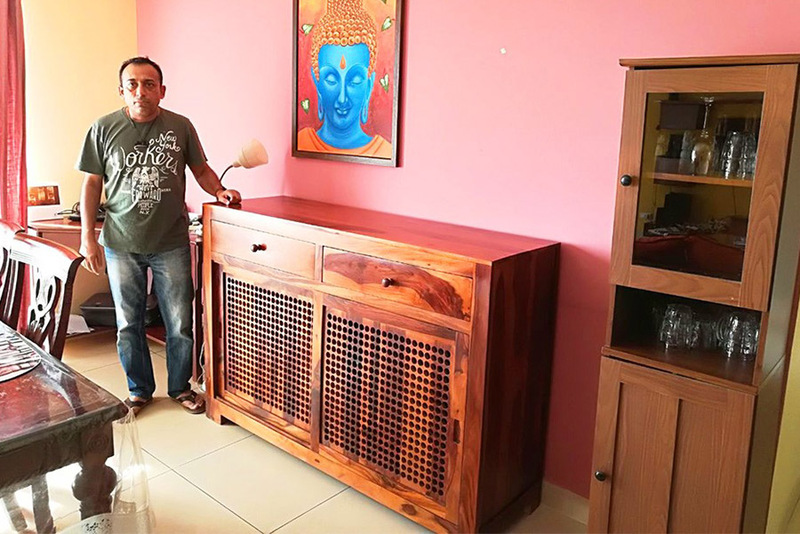 With Wooden Street, you can get the furniture that you’ve always dreamed of, customised to fit your needs, and that too in just a few clicks.